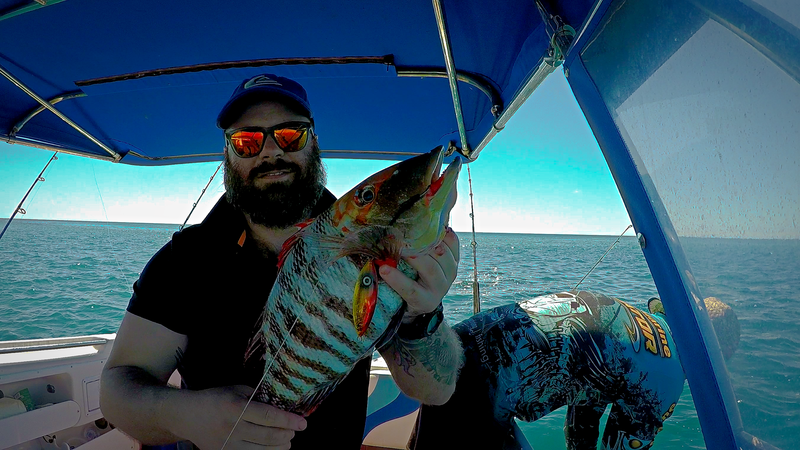 With better weather recently and a lot more boats finally getting out and about there have been some reports of some great fishing everywhere from the beaches, islands and out to the reef. 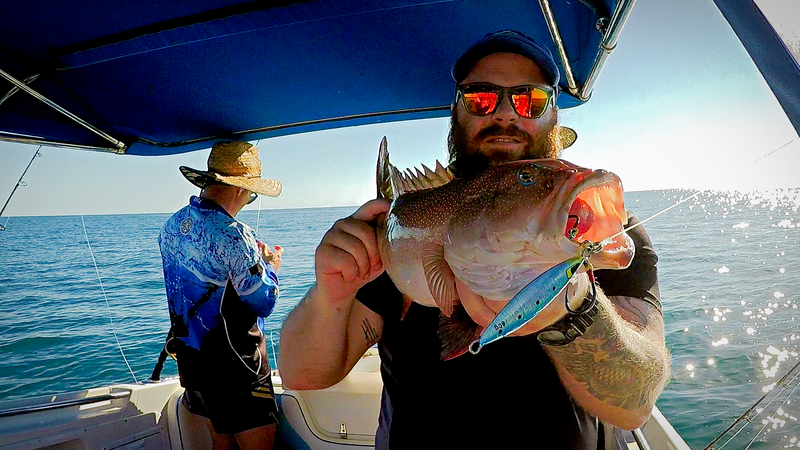 There has also been plenty of bait and squid accessible along the beaches and rock walls around the Whitsundays. Beach fishing has been producing a lot of good sized whiting and with plenty of bait hanging around the VMR, Cannonvale Beach, Shingley Beach, Shute Harbour and Hydeaway Bay it has been worthwhile throwing the net around to soak a live bait while getting a feed of Whiting at the locations mentioned above. Good reports are also coming in of some large Grunter with some anglers seeing them in plague proportions around the rock walls. 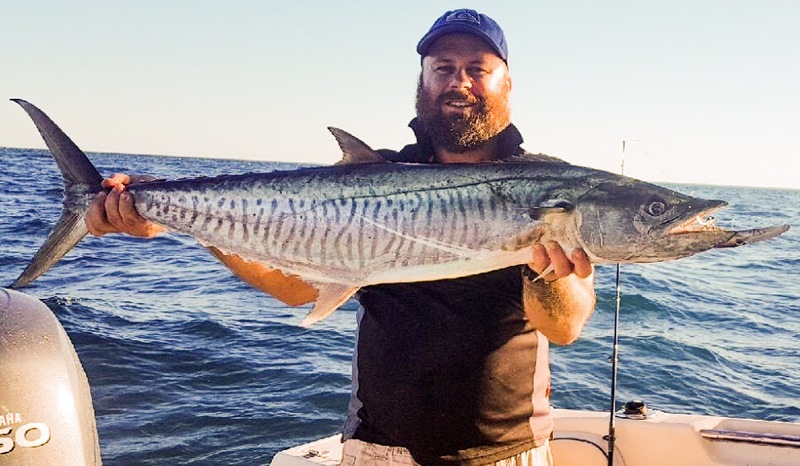 The islands have been producing smaller Red Throat Emperor and some good sized Coral Trout but the quality of Spanish Mackerel has been improving with some great specimens being caught around Pioneer Rock and the back of Hayman and Hook Islands. 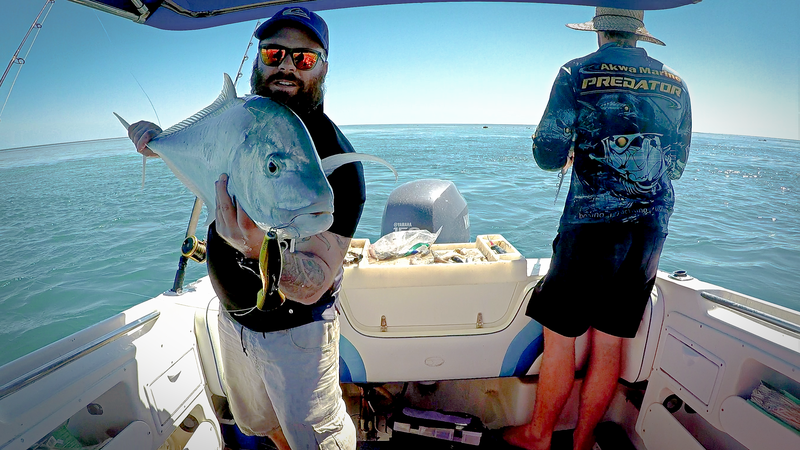 Several good sized Queenfish and Trevally have also been seen chasing bait around the Hayman Island channel marker with a few being taken on surface lures. 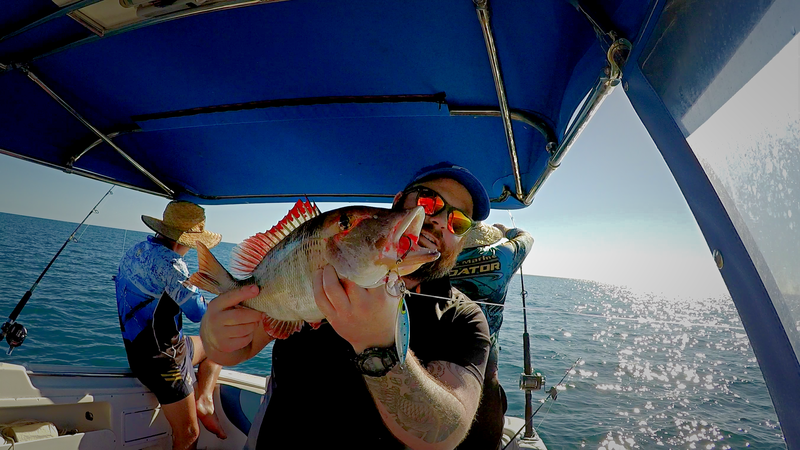 Deeper water has also seen some very solid Fingermark and Nannygai caught particularly early mornings and after dark with some anglers bagging out. 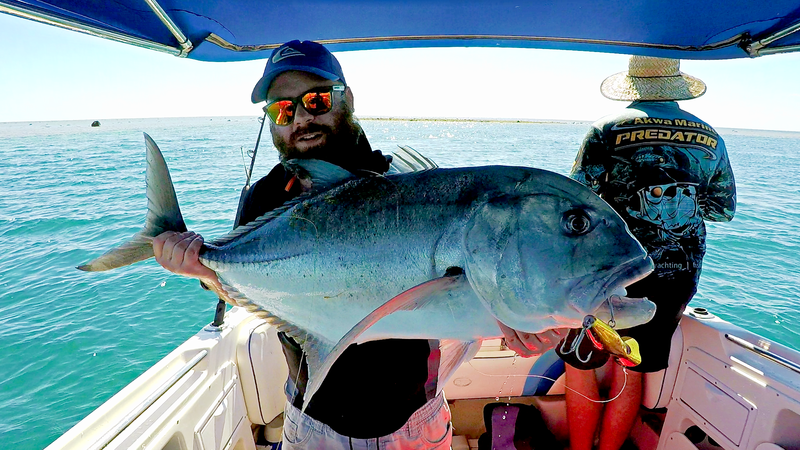 The Reef has been producing great fish with Spanish Mackerel and Trevally harassing baitfish on the reef edges all day. 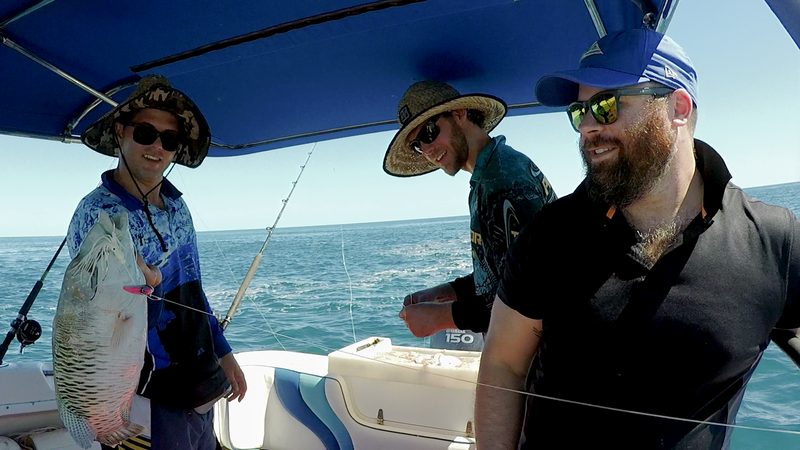 Trolling up a Mackerel or catching them with a floating live bait has been an easy task and I had several chasing and taking surface lures even at anchor. Unfortunately the sharks aren’t too far away making it hard to get them to the boat though. Even the GT’s weren’t too selective about tides last week and finding bait was more important than fishing the high current edges. Large Red Throat were much more prolific than Trout but a solid mixed bag kept us guessing which species would come up next. Bait, Jigs and Lures all produced on the day with a few of my favourite coloured Fat Boy and Power Fall jigs from Reflex Tackle saw me stretched on more than a few fish.